Our Green Screen service allows a digital backdrop to be superimposed behind the guests as they use the booth. This could be a famous landmark such as the Eiffel Tower or the ‘Welcome to Las Vegas’ sign, or a particular element that relates to your function. By combining this with custom graphics on the instant prints, the possibilities are endless to create a completely immersive experience for your guests. Sometimes one booth just doesn’t cut it! We can provide multiple booths to increase the number of guests who can ‘get boothed’ at once. 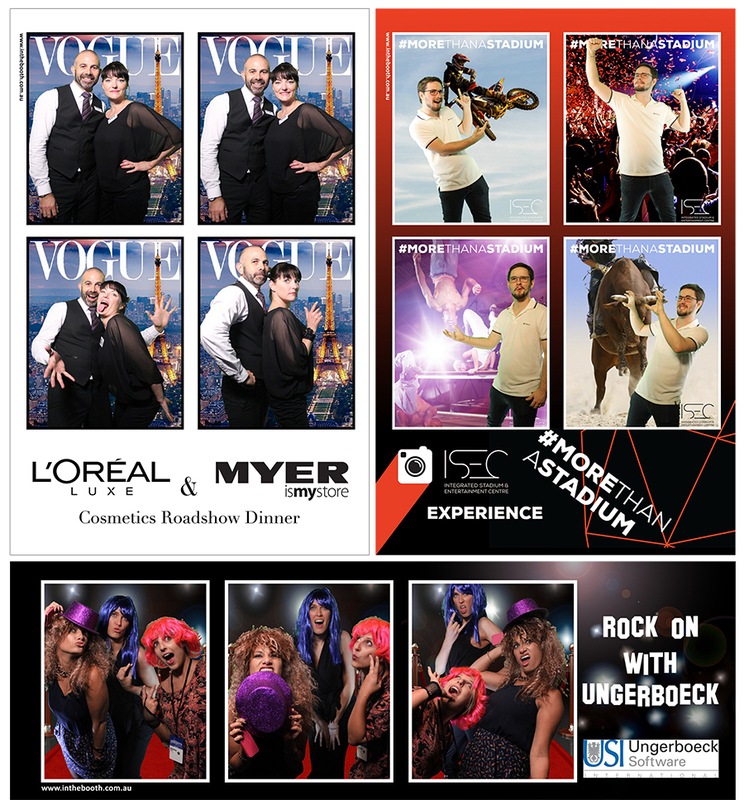 Have them configured identically to maximize booth capacity, or theme them separately for guests to ‘do the rounds’ and get different promotional messages or theming on each photo print. Our booths can operate stand-alone or in a linked network configuration to integrate with other additional services. Do you want to share the fun outside the curtain? We can provide projection and external display options to transport your guests antics ‘out of the booth’ as well! This might be near the booth to add to the excitement, or at the other end of the venue or even outside to draw people in and really get the party started. We have a range of particular configurations depending on your requirements, so give us a call to discuss your event and what will work the best. We love a challenge. By drawing on our extensive background in the electronics and entertainment industries, there’s not much we can’t do with our booths. If you’ve got a grand idea for a function that we haven’t even thought of yet – please give us a call, we’d love to talk!